MONDAY, July 18, 2016 (HealthDay News) -- A woman's odds of being told she has "dense" breasts may depend on which radiologist reads her mammogram, a new study finds. The study, which involved centers in four U.S. states, found that radiologists varied widely in how often they defined mammography patients' breasts as dense. Higher breast density is a risk factor for breast cancer, experts note. The range went from 6 percent of patients to nearly 85 percent, the researchers reported. The findings could have implications for the so-called breast density notification laws that have been passed in about half of U.S. states. Under the laws, mammography results must inform women whether their breasts appeared dense on the X-ray. Dense breasts have little fat and a lot of fibrous or glandular tissue, which makes it harder to see tumors. They are also a risk factor for developing breast cancer, the researchers explained in background notes. The idea is to make those women aware that mammography may be less accurate for them. But the laws are controversial, said Brian Sprague, the lead researcher on the new study. In many states, the notifications tell women to discuss "supplemental" screening options with their doctors. Those other options may include breast ultrasound, MRI or digital breast tomosynthesis. "But there's no consensus in the medical community on what should be done," said Sprague, an assistant professor of surgery at the University of Vermont in Burlington. "We don't have enough evidence on the benefits and harms of alternative screening options for these women," he said. Now his team's findings highlight another issue: Defining breast density is, to a degree, subjective. According to Dr. Stamatia Destounis, a radiologist at Elizabeth Wende Breast Care in Rochester, N.Y., "We've been aware for a long time that there is subjectivity in interpreting mammographic density." When a woman's breasts are either largely fat tissue or very dense, it's an easy call, said Destounis, who is also a clinical professor at the University of Rochester Medical Center. But things get trickier when a woman has dense tissue scattered throughout the breast, noted Destounis, who was not involved with the study. "We don't all see the same thing," Destounis said. Plus, she noted, other factors can affect a radiologist's view of breast density -- including the equipment used and how much compression there was on the breasts during the test. But if the subjectivity has been acknowledged by radiologists, others may not be aware of it -- including legislators passing the notification laws, Sprague pointed out. "Breast density measurement is taking on a clinical importance that it hasn't had before," Sprague said. "And our findings suggest it would be somewhat hazardous to rely on these measurements alone to guide decision-making." The new study results are based on nearly 217,000 screening mammograms done at 30 facilities between 2011 and 2013. A total of 83 radiologists interpreted the X-rays. 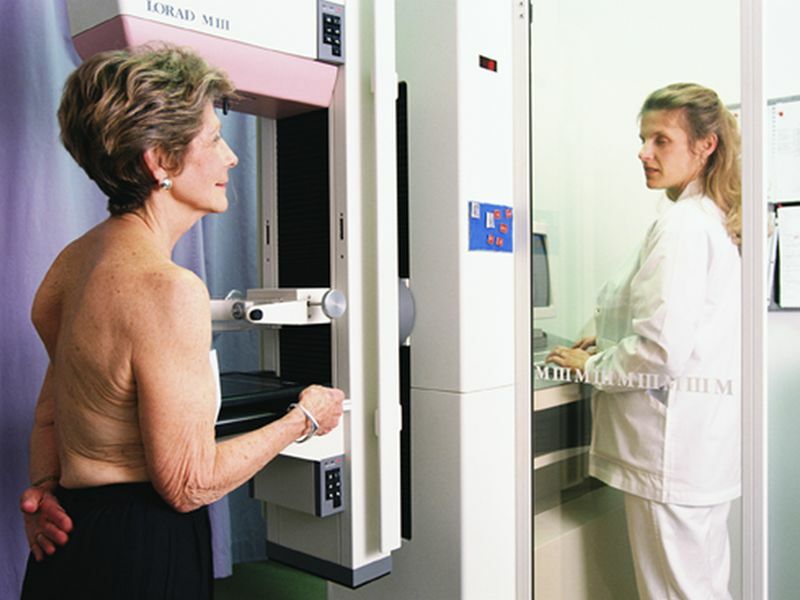 Overall, 37 percent of the mammogram results cited dense breasts. But doctors varied widely in how often they made that call. And among women who had two consecutive mammograms read by different radiologists, 17 percent had a different density rating on the two tests, the findings showed. Breast density typically declines with age, Sprague said. It's also affected by weight, and can vary according to race or ethnicity. But those factors did not explain why some radiologists gave a "dense" rating far more often, or far less often, than others, the study found. According to Destounis, more centers are using computer models to interpret breast density in mammograms. That, she said, may allow a more objective rating. For now, Sprague said doctors may want to be cautious about suggesting any supplemental screening based only on a breast density measurement. It's important to consider the whole picture, Sprague stressed, including whether a woman has any other risk factors for breast cancer, such as a strong family history. "Breast density is just one piece of information," he said. "It carries some importance, but it's also a rough measure that comes with some subjectivity." Notification laws have gained steam since 2009, when Connecticut became the first state to enact one, according to the Radiological Society of North America. There is no federal legislation, but a bill introduced last year is under consideration. The study findings were published online July 18 in Annals of Internal Medicine.